At first glance, getting started with a Digital IRA can seem complicated. But don’t let the process overwhelm you. Don’t worry. You can actually keep all your existing retirement funds inside your Digital IRA with an account rollover – with zero penalties or distributions in nearly all cases. You can also open a new Digital IRA and keep your existing account separate, if you prefer. We’ll explain exactly how to set up your Digital IRA below. Our team has years of experience with placing alternative assets into IRAs, so we can ensure as smooth a process as possible. 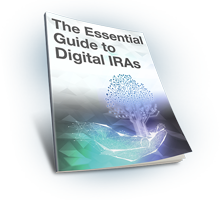 Digital IRAs are a type of “self-directed” retirement account. That means you accept full control over the investments in your account, but a qualified custodian must still legally handle your account’s administration. BitIRA has partnered with Preferred Trust Company, a leading custodian of self-directed IRAs, to manage your account and prepare all the necessary documentation for this crucial first step. After you provide your Digital Currency Specialist with a few key pieces of documentation, the team at BitIRA will complete the required paperwork and administrative tasks to open your new account. Beyond your input on some questions, plus your approval and signature, you hardly have to do any work. Most new accounts are ready within a few weeks or less. With your new account set up, it’s ready to accept funding and receive asset rollovers from your existing accounts. Your Digital Currency Specialist, in coordination with our IRA Department, will work with Preferred Trust and your old custodian to ensure that your initial funding and asset transfers move over seamlessly, while watching carefully to prevent penalties and hidden costs. Digital currencies for your new IRA account are bought and sold through an exchange, and stored in BitIRA’s solution for “The World’s Most Secure Digital Currency IRA”. Both of these technical elements must be connected with your new account before you can start purchasing your digital currencies. The new account that BitIRA will help you set up uses a maximum security multi-signature wallet, the first and only fully-insured cold storage solution for cryptocurrencies in your IRA. Additionally, your Digital Currency Specialist will configure access to our corporate account with one of our partner trading exchanges, which has provided two-sided liquidity for buyers and sellers of digital currency since 2013. Your retirement assets are not only insured while in cold storage, but also during the transaction. During this stage, they are covered against any cases of fraud or theft by a $1 million Consumer Protection policy. Further, BitIRA has you covered against any data breaches with a $1 million Cybersecurity Policy from Hiscox. The setup process is complete! Now you’re free to start purchasing digital currencies for placement in your IRA. You can view your account holdings 24/7 with our wallet lookup tool, and your Digital Currency Specialist will remain available to execute orders within your account. Are you ready to take the first step toward starting your Digital IRA? Contact BitIRA to learn how you can start leveraging digital currencies inside your IRA today. One of our Digital Currency Specialists will go over all the details, answer any questions, and explain the opportunities currently available.